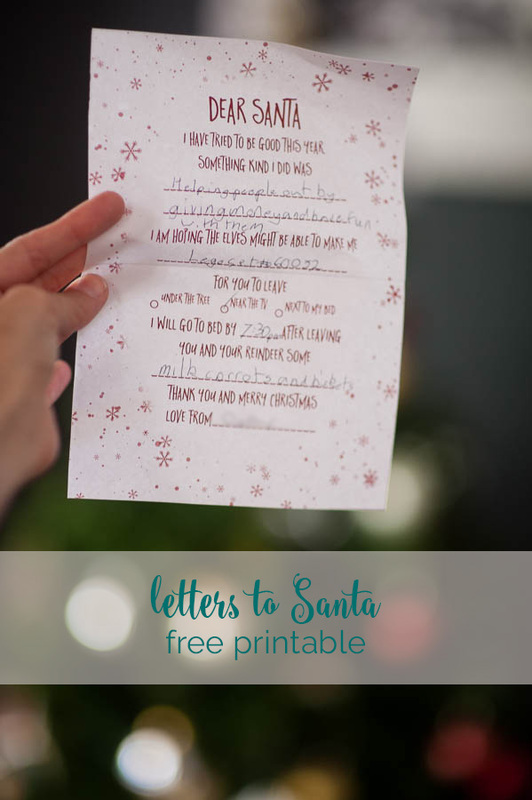 Our Friday activity in our Advent calendar was to write letters to Santa. I’d seen a few templates floating about, but of course, nothing is that simple for me, so Friday I sat down and spent some time in Photoshop to create one of my own. My biggest gripe with a lot of them was the focus on naughty vs nice, which isn’t something we make a big deal of around here with Santa, so I instead chose to focus on positivity and grace. They are good kids, like most are, and so instead of looking at whether they were naughty or nice, I asked them to reflect on something kind they have done this year. I also added in the giving back, by asking them to think ahead for what they might leave for Santa. 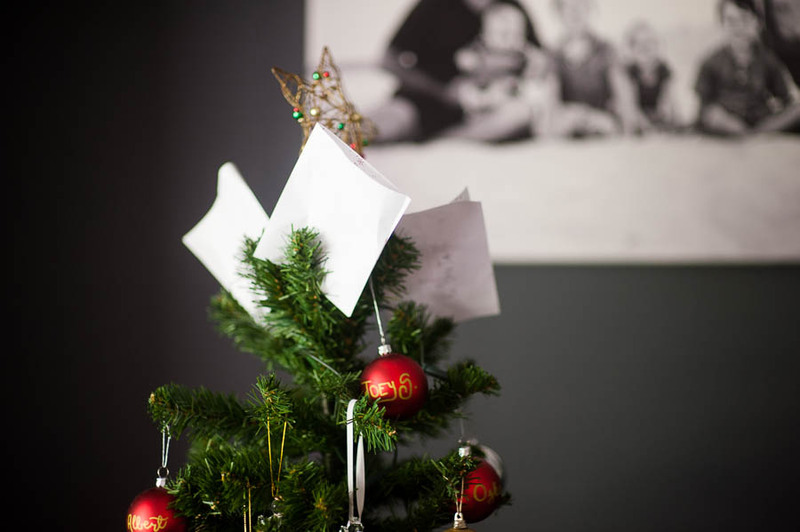 Once we were done writing, we folded them up and popped them on top of the Christmas tree. 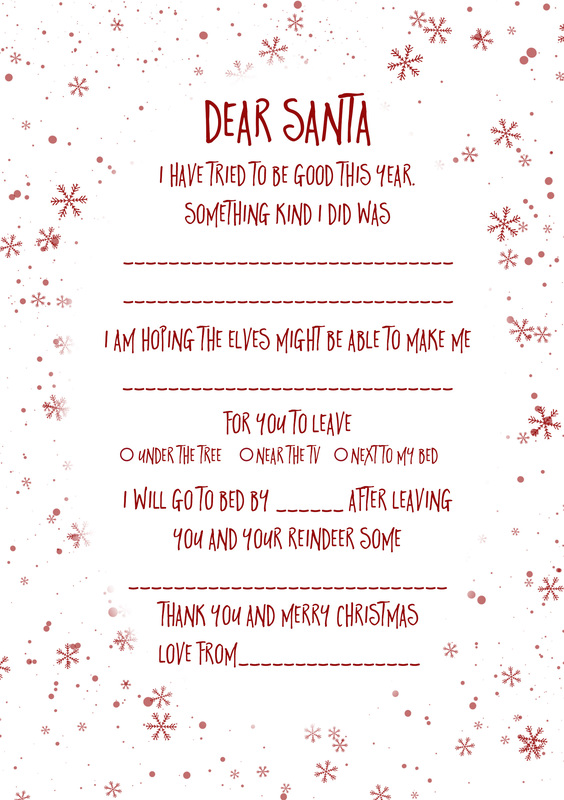 At the shops this morning I grabbed an extra packet of black cards, and plan to spend an hour or so this afternoon making up a return card for each child from “Santa”, and if I get super productive, maybe even a “letter receipt” print out to include. I offered the files up on Facebook, and would also love to share them with my lovely readers, as a little thank you for your support this year. Have fun! And if you use them on instagram, I would love it if you’d tag me (@barefootcrafter) so I can see what you are up to!